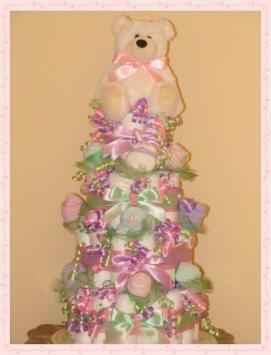 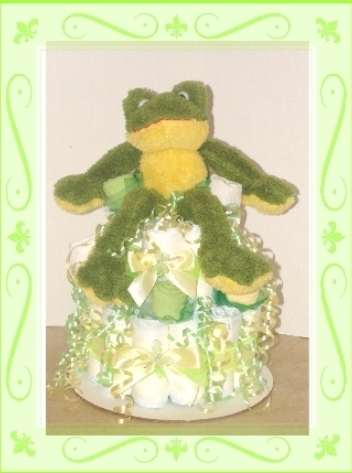 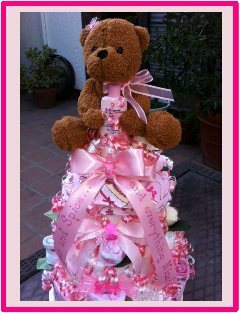 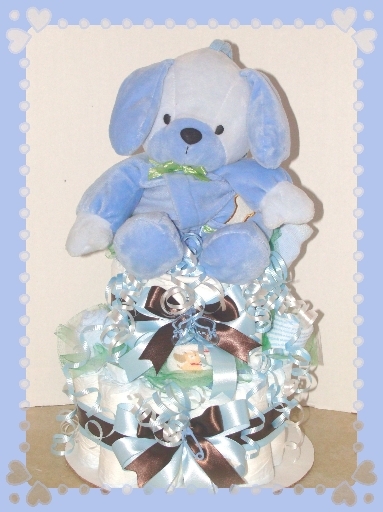 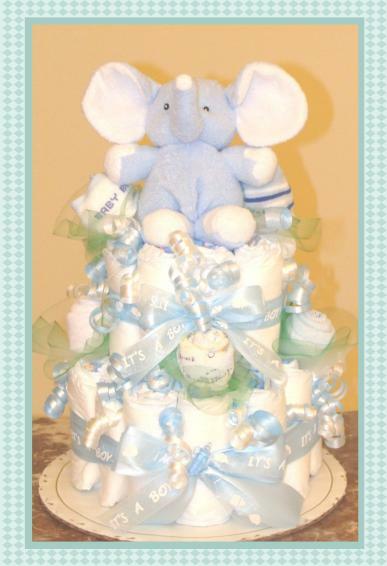 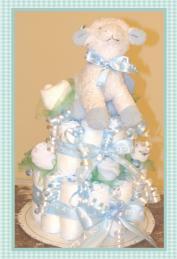 Dana's Custom Diaper Cakes come in one to four tiers. 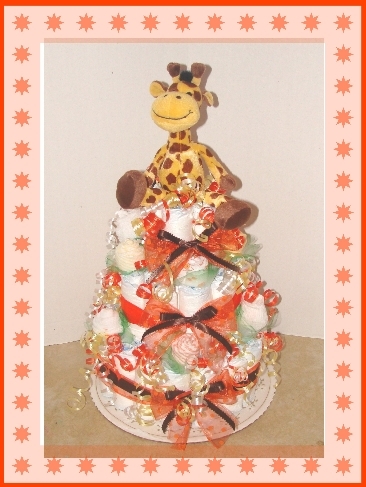 No two cakes that are ever the same. 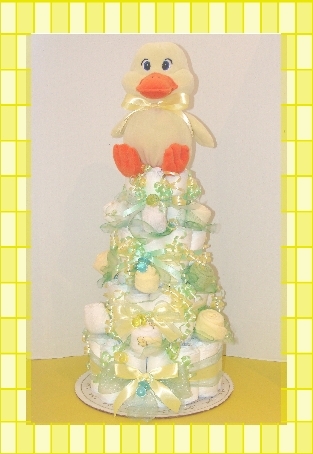 Each diaper cake is unique and different in color combination or theme. 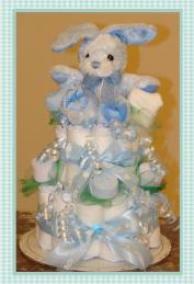 Come in today and either buy a pre-made cake right off the shelf or order a Custom Diaper Cake to match your baby shower theme and colors. 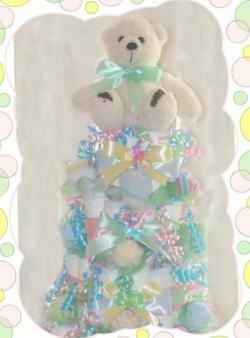 There are hundreds of ribbon colors to choose from to match your shower colors.